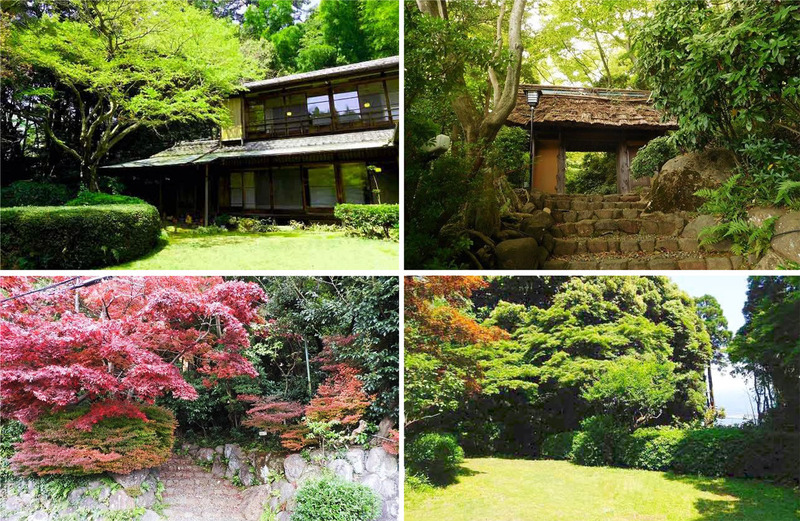 On June 13 Mori Trust announced that they have acquired the historic holiday home of Taneji Yamazaki (1893-1983) in Atami City for an undisclosed price. Yamazaki was a successful businessman, founding several trading companies, including one which is now SMBC Friend Securities. In 1966 he founded the Yamatane Museum of Art in Tokyo, which was the first museum to feature only Japanese paintings. The Yamatane-ryo was built in 1936. It is located just north of Kinomiya Station and about a 15 minute drive from Atami Station. It is a peaceful hillside neighbourhood with a history dating back over 1300 years. 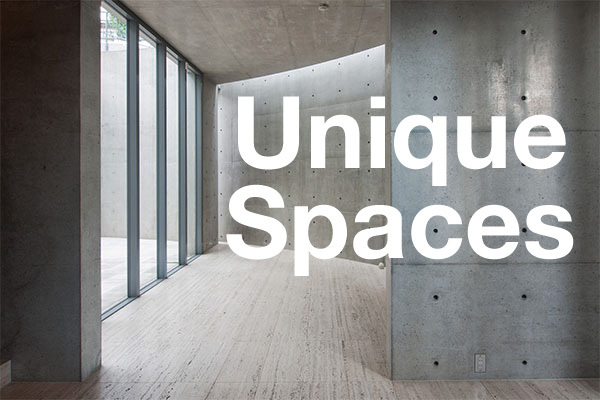 The 8,300 sqm (89,000 sq ft) property has views of Atami Bay, Hashima Island as well as the numerous firework festivals held over the bay throughout the year. 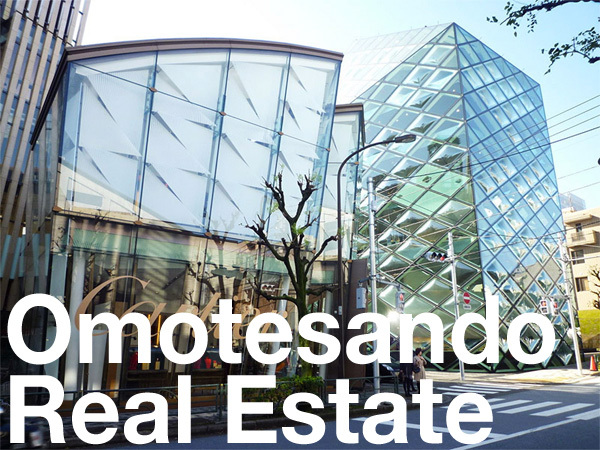 Although the purchase price was not made public, similar properties in the Atami area are extremely rare and can fetch upwards of 1 billion Yen (approx. 9 million USD+). 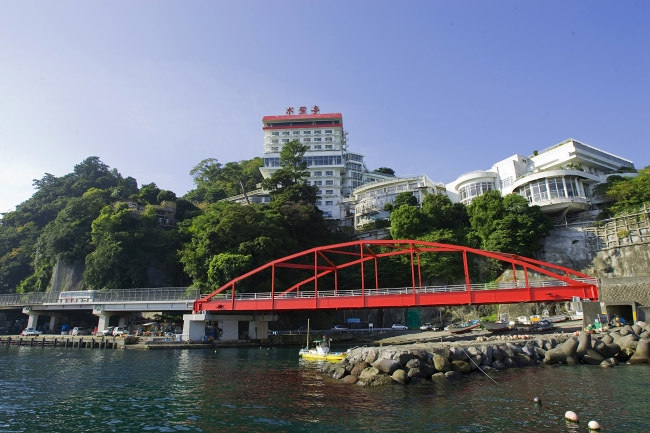 Ooedo-Onsen-Monogatari Co., Ltd. acquired Hotel Mizuhatei in Atami City on September 12 for an undisclosed sum. The 11-storey hotel is located alongside the No. 135 National Highway and overlooks Sagami Bay. Two reasonably large hotels in the beachside hot spring resort area of Atami in Shizuoka Prefecture closed their doors last month. Atami Korakuen Hotel closed their Misaki-kan annex building last month, ending 65 years of operations. The hotel will continue to operate in their newer building next-door, while the former annex building will be demolished and replaced with new facilities in time for the 2020 Tokyo Olympics. This beautiful traditional Japanese house and garden in Atami City was built in the early Showa period and was previously owned by Viscount Torio. 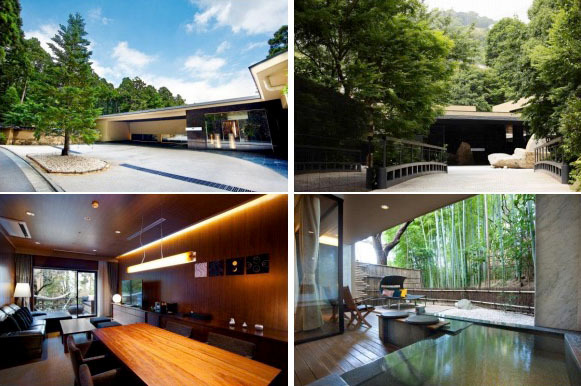 The spacious property includes the main house, tea house, guest house, and a large Japanese garden with flowing stream. Water from the natural hot springs can be drawn in the bathroom of the main house. 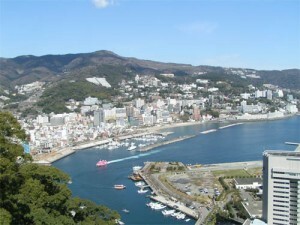 Atami City is only 39 minutes by Shinkansen from Tokyo Station. 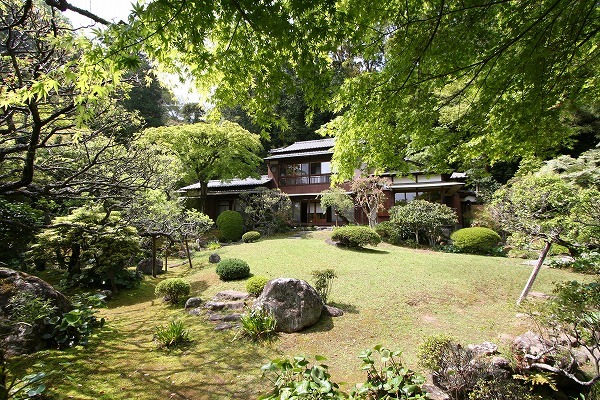 The house is a 15 min drive from Atami Station, or a 9 minute walk from Kinomiya Station.